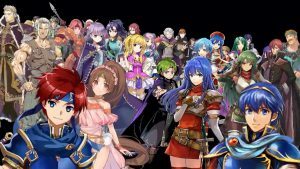 Fire Emblem Heroes includes characters from the entire Fire Emblem series. However, not all of the Fire Emblem games featured have been officially released in the West. As such, many characters will be making their first international appearance in Heroes, some with new localised names to boot. For your convenience, you can find listings of all the confirmed names below (obtained from the Choose Your Legends event or elsewhere). Note: These are not lists of all the confirmed characters in Heroes.